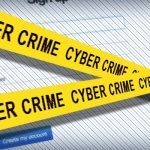 The National Assembly of Pakistan on Tuesday has approved the controversial Cyber Crime Bill. Earlier last year, the bill was forcibly approved by a National Assembly Standing Committee on Information Technology which is led by Prime Minister Nawaz Sharif’s son-in-law Capt. Safdar. Civil society, stakeholders in the industry, NGOs, bloggers, and students have widely protested against the bill, which is called as The Prevention of Electronic Crimes Bill 2015. It is believed that the bill will give abusive powers to law enforcement agencies. The bill, according to many experts on the topic, also breaches human rights code and freedom of expression. The bill was submitted to the National Assembly for voting in January 2015 by Pakistan’s Ministry of Information Technology. Up to five year imprisonment, PKR 10 million fine or both for hate speech, or trying to create disputes and spread hatred on the basis of religion or sectarianism. Up to five year imprisonment, PKR 5 million fine or both for transferring or copying of sensitive basic information. Up to PKR 50 thousand fine for sending messages irritating to others or for marketing purposes. If the crime is repeated, the punishment would be three months imprisonment and a fine of up to PKR 1 million rupees. Up to three year imprisonment and a fine of up to PKR 0.5 million for creating a website for negative purposes. Up to one year imprisonment or a fine of up to PKR 1 million for forcing an individual for immoral activity, or publishing an individual’s picture without consent, sending obscene messages or unnecessary cyber interference. Up to seven year imprisonment, a fine of PKR 10 million or both for interfering in sensitive data information systems. Three month imprisonment or a PKR 50 thousand fine or both for accessing unauthorised data. Three year imprisonment and a fine of up to PKR 5 million for obtaining information about an individual’s identification, selling the information or retaining it with self. Up to three year imprisonment and a fine of up to PKR 0.5 million for issuing a sim card in an unauthorised manner. Up to three year imprisonment and fine of up to PKR 1 million rupees for making changes in a wireless set or a cell phone. Up to three year imprisonment and a fine of up to PKR 1 million for spreading misinformation about an individual.